Idler Sprockets spin freely on built-in bearings to guide and control slack in your chain. 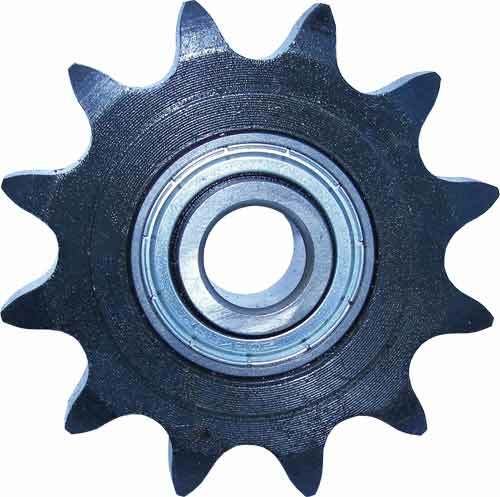 Idler sprockets are self-lubricating and quiet. Idler sprockets will extend the lifetime of a roller chain and sprocket.These sprockets are made with a built in ball bearing and are intended to spin freely when mounted. Idlers are for taking up slack and tensioning drives that incorporate long lengths of roller chain. These sprockets come standard with hardened teeth.